I spent my last first Friday night in the Philippines by attending a Mass at Don Bosco Church in Makati City. Some of you might ask, “last first Friday?” I know it is confusing. First Friday means that it is the first Friday of the month. I consider this a special day because it is offered by the Church to the Sacred Heart of Jesus. I am quite sad during that Friday because of my impending departure to Thailand. I will miss a lot of things, especially my family and of course my Beloved. That's why I was glad that she went out of the office early to be with me during the Mass. We went to the nearby Walter Mart to eat dinner. We chose to eat at Karate Kid, which is a Japanese fast food restaurant. My Beloved ordered the Chicken Teriyaki. I abstain from eating meat during Fridays so I ordered Fish Katsu. Our dinner was good. What I cherished the most is our conversation. We talked about our work, thoughts and other things that we encountered during the day. Even mundane things stopped being mundane when we talked about it. Face-to-face conversation can never be replaced by video chatting. Karate Kid is the last restaurant that I have dined in the Philippines. I haven't visited any fast food restaurant yet here in Thailand. I kind of miss the local Filipino restaurants like Jollibee and Mang Inasal. I also miss going to First Friday Mass and adoring the Eucharistic Lord. Which first the bow of banishment shoots forth. The going down and up another’s stairs. Read more about this poem in this blog post of Father Z. This would be my last post about the events that occurred in the Philippines. Next posts will be about my adventures here in Thailand. Yup. 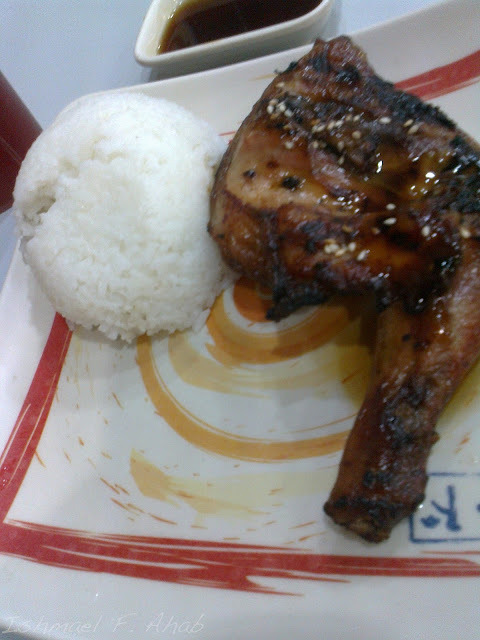 Karate Kid's chicken is not burnt unlike the chicken of Mang Inasal. 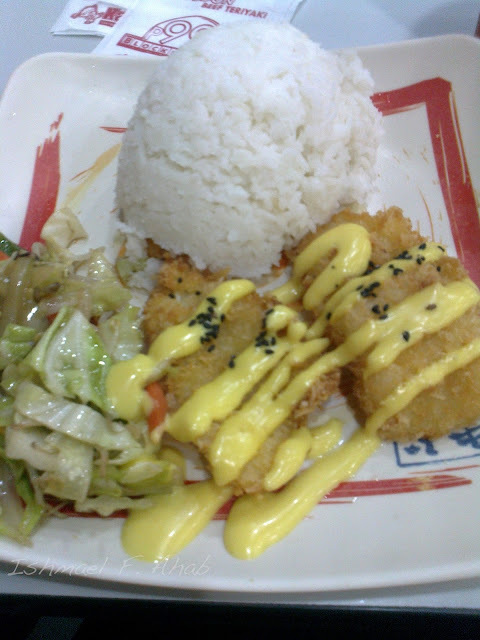 gusto ko ung fish katsu~! Ay, akala ko pagala0gala ka sa Southeast Asia eh. Nasa Manila ka pala. Ingat ka din palagi. Dati puro kadramahan sa buhay ang laman ng blog ko. Pero naisip ko na mas maganda kung ibahin ko. Dito ko na lang ilagay yung kwento ng mga gala ko. Kaya heto, naging parang travel blog na din ito. I'm sure sobrang Miss ka na ng beloved mo! Pwede ka naman nya siguro dalawin dyan sa thailand? Pwede naman. Kaso mahal yung pamasahe eh.